Pixelligent’s materials deliver revolutionary optical performance in optoelectronic applications for Solid State Lighting, Displays, and Optical Components. Incorporating our materials significantly increases the refractive index of many commonly used polymers, while maintaining high transparency. This combination of key properties allows customers to optimize optical efficiency and improve light extraction. Pixelligent’s materials are engineered to deliver these benefits without impacting other key material properties, such as mechanical and thermal stability, viscosity and lifetime reliability. In addition, these liquid-process dispersions can be easily integrated into existing manufacturing processes. PixClear® zirconia dispersions can also be tailored for specific polymer systems and manufacturing technologies. LED manufacturers fight for every 1% increase in light output – Pixelligent’s products for LED lighting increase light output by 5-10%. 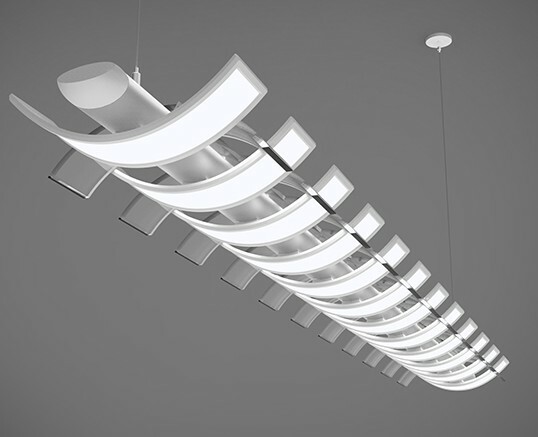 Our materials create brighter LEDs and decrease cost of luminaires and lamps. By incorporating our silicone-based nanocrystal dispersions, we raise the refractive index of Methyl-Phenyl silicones up to 1.63 and of Dimethyl silicones up to 1.58. Our materials achieve these benefits with minimal impact on thermal stability and lifetime reliability of the silicones and end products. Our products increase light output from OLED lighting panels as much as 100% compared to panels without light extraction. We offer both dispersions and formulated products for the Internal Light Extraction layer (ILE). Pixelligent’s materials are compatible with polymers used in OLED lighting panels and can raise the refractive index up to 1.83 at 450 nm. Our products can replace or compliment the benefits of external light extraction layers, and are compatible with existing OLED manufacturing processes. Pixelligent’s products allow for precise light management in display applications. Our materials increase refractive index, while maintaining high transparency and low haze in coatings for displays. Pixelligent’s materials for display are optimized for both acrylics and epoxies, and can raise the refractive index up to 1.85. In addition, the nanocomposites reduce haze below .5% and increase hardness up to 9H in cured films. These materials are compatible with existing coating manufacturing, including wet-process equipment. Pixelligent’s products dramatically improve optical and mechanical properties in many optical components and films. These applications include wafer-level optics, CMOS image sensors, fiber optics, and transparent protective coatings. We are able to raise and control the refractive index of polymers, including acrylics, epoxies and siloxanes up to 1.85. In addition, the nanocomposites reduce haze below .5% and increase hardness up to 9H in cured films. Our materials can be incorporated into films and components of a wide range of thicknesses to match customers’ requirements.